ferrite cores are widely used in HDTV , DVD, PC, tele-communication equipment and many kinds of transformers such as switch transformers, FBT pulse transformers, driving transformers and electronic inductor etc. We are now producing 16 series of ferrite cores. 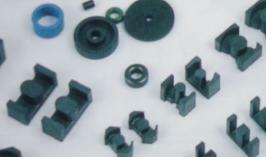 We can make the ferrite cores according to the drawing and magnetic characteristics supplied by clients. All the ferrite cores are ISO9002 quality assured. Drum Ni-Zn ferrite cores mostly used in middle-frequency transformers, coils and all kinds of filters. Drum Ni-Zn ferrite cores work steadily in big electric current. Ferrite Core copyright(c) Xiangying Magnetic Materials Co., Ltd.